How much do you need to save on a monthly or annual basis to be able to retire at your current standard of living and have your money last until life expectancy? Doing what you are currently doing, how long will you need to work to be able to retire and live your current lifestyle until life expectancy? If you don't do anything more than what you are doing today, by how much will you need to reduce your standard of living at retirement for your money to last to your life expectancy? "Our most successful clients choose our comprehensive planning service." We will review your current financial situation, including retirement goals, insurance programs, investment portfolios, estate planning issues, and develop a comprehensive plan based on your needs and wants. You will receive a written financial plan with recommendations and a financial consultation. Our plans are completely portable, and can be implemented either by you or any advisor of your choosing. A consultation can explain or help clarify a specific financial issue, a financial product, or a financial process. Many times our consultations are used to obtain a second opinion on a suggested course of action. Sometimes acting on free investment or tax advice without knowing all the facts can be dangerous to your financial health. With JBA, you can depend on factual financial information and expert insights on issues applicable to your unique financial situation. All consultations are delivered under a fiduciary client relationship. Our hourly rate for an Individual Financial Consultation is $150. In addition to ongoing Financial Consulting, clients have internet access to MoneyGuidePro's award winning financial planning software and Cash Edge's account aggregation software. Your Financial Plan and Financial Statements are always up to date, and available to you 24/7. This holistic approach combined with the resources of our strategic alliances, the tax and planning expertise of JBA, investor education programs, and state-of-the-art technology pulls our clients' financial lives together. JBA Strategic Asset Allocation Portfolios and JBA's Income Accounts. In addition to JBA’s proprietary investments and cash management services, we offer standalone referral investment programs. These investment programs are made available thru our agreements with third party asset managers (other independent investment advisors). Equity Portfolios use various Exchange Traded Fund (ETF) strategies to build broadly diversified portfolios which are monitored and rebalanced on an ongoing basis. Income Accounts are custom designed to meet a client's unique income needs. JBA teams up with Advisors Asset Management and other investment advisors to acquire and manage income producing investments. Income accounts are monitored on an ongoing basis. Cash management services such as checking, electronic transfers and bill paying are offered in conjunction with Shareholders Services Group and Pershing LLC. JBA Money Management Services fee is .50% of assets under management. This fee is incorporated in the above Comprehensive Planning Fee Schedule. JBA Portfolios are offered exclusively to Comprehensive Financial Planning clients and clients with over $5M in JBA Referral Investment Programs. Matson Money's Strategic Asset Allocation Program. 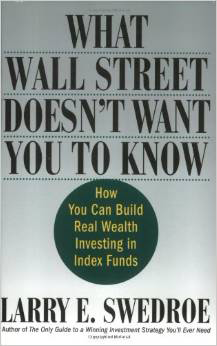 JBA services and supports this program with Mark Matson's Investor Education Series. Matson Money uses Dimensional Fund Advisors' (DFA) structured asset class strategies to build broadly diversified portfolios which are monitored and rebalance on an ongoing basis. Morningstar Investment Services' (MIS) Core and Explore ETF Portfolios, and Strategic Allocation Managed Account Portfolios. 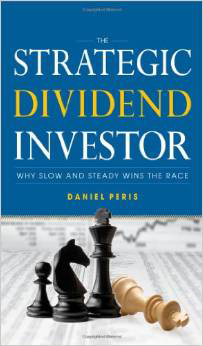 MIS is the investment advisor of the Morningstar Research Company. The research company is well known for its 5-Star Mutual Fund Rating System. 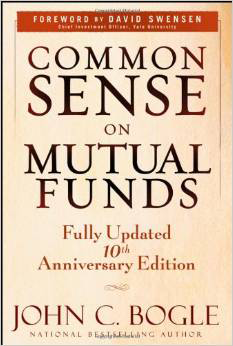 MIS monitors and rebalances these portfolios on an ongoing basis. JBA offer AAM’s income portfolios as part of a comprehensive income strategy or a stand alone retirement income solution. AAM, with over 30 years of experience, has its roots in the fixed income market place. The firms provide investment services through investment advisors, and act as the bond desk for broker dealers. Referral Investment Program fees are 1% for equity portfolios and 1/2% for fixed income portfolios. Minimum Investment – Matson Money $25,000, MIS $100,000, AAM $500,000. Referral Investment Programs are offered with or without our Comprehensive Financial Planning Services. "Ask how we generate high tax deductions with strategic retirement plan design." In addition to his own experiences in auditing, taxation and finance, John draws on the experiences of other finance and insurance industry experts to bring cutting edge solutions to business owners in the area of executive benefits. We are well versed in the products and techniques used in the specialized areas of planning listed above, and offer our individual comprehensive financial planning services as an executive benefit. Make sure your company's 401(k) plan does not put your personal assets at risk! 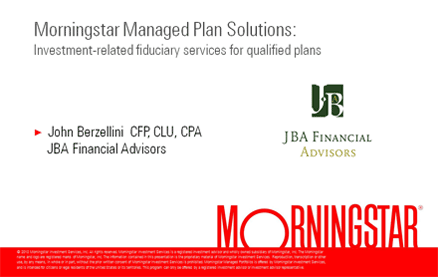 JBA supports and services Morningstar Investment Services open architecture 401(k) plan. This state of the art 401(k) offers plan sponsors the highest level of fiduciary protection available in the market today and offers plan participants a true institutional investment process. As an executive benefit, we will integrate and support our personal financial planning software in conjunction with Morningstar's Investment Related Fiduciary Services. JBA's financial planning process, investment programs, technology, educational programs and experience earn the confidence of the firm's clients. We believe this confidence, together with our history of integrity and quality service, is instrumental to the financial success of our clients. With over 30 years of experience in financial services, taxation, and education, JBA's Principal, John Berzellini, has amassed an impressive local and national network of credentialed professionals and industry relationships to bring to bear on our client's unique financial goals and circumstances. "Our unique approach to financial planning helps clients find money they may be transferring to financial institutions unknowingly and unnecessarily." OUR CLIENTS COME FIRST! No faceless committees overriding what is in the client's best interest. JBA offers clients a fiduciary-based relationship, as opposed to the transactional-based, suitability relationship offered by many registered representatives of banks, insurance companies, and brokerage firms. JBA's principal, John Berzellini, understands the procedural and technical aspects of tax administration. During his tenure as a IRS Agent, John worked in a combined income tax and estate tax examination group, was a member of the agency's technical review staff, and a IRS Classroom Instructor. JBA is an independent investment advisor; there are no disclosures or fine print to the contrary on our web site or business cards. JBA's Principal, John Berzellini, is known in government, the professional community and the financial services industry for fair play and technical expertise. JBA Client Accounts have the HIGHEST LEVEL of ASSET PROTECTION in the securities industry today. Pershing, LLC, a subsidiary of the Bank of New York Mellon, provides custodial services and enhanced asset protection for JBA Accounts. JBA has adopted the CFP® Board of Standard's Six Step Planning Process and the Board's Fiduciary Standard of care. John Berzellini is active in the CFP® Board's Financial Planning Outreach Program. Flexibility of Relationship – Clients can choose Ongoing Comprehensive Financial Planning Service or engage JBA for the stand alone services of Money Management, Financial Consulting, or a Written Financial Plan. Pricing – Stand-alone services are priced to be competitive in today's market place. We apply a fee offset for advisory fees received from the Matson Money, Morningstar Investment Services and Advisors Asset Management investment programs to our minimum quarterly planning fee. At the minimum investment level, our comprehensive planning fee is only 1/4% higher than the average mutual fund expense ratio. At investment levels of $800,000 or greater, our comprehensive financial planning service is the best value in the Baltimore-Washington Metropolitan Area. Clients have access to MoneyGuidePro's goal oriented financial planning software 24/7. Cash Edge Software populates financial plans with live account data from all client accounts no matter where those accounts are held. This functionality provides JBA clients with an up-to-date holistic view of their financial situation. JBA Financial works with Net2Sky, LLC, to ensure safety and security in both its local computer networks and electronic communications. Copyright © 2016 JBA Financial Advisors. All rights reserved. John's background in taxation (which includes an eight year tenure as IRS agent), brings unique perspective on financial planning not easily found in the marketplace today. As a highly competent financial advisor, he provides personalized consultations that help clients build and preserve wealth. Clients benefit from his broad knowledge of tax and accounting and his extensive experience in advising individuals, company executives and business owners on financial and retirement issues. As principal of JBA Financial Advisors (JBA); John provides clients with an objective and comprehensive approach to financial planning. In his capacity as principal, John also provides supervisory services to individuals and businesses offering financial planning services through the JBA Advisory Platform. John Berzellini started his professional career as an Assistant Director of Economic Research at the Chamber of Commerce of Metropolitan Baltimore. He began to specialize professional growth in the areas of accounting and taxation gaining firsthand knowledge of tax laws and how they are enforced by working as an auditor for the Comptroller’s of Maryland and as a IRS agent. 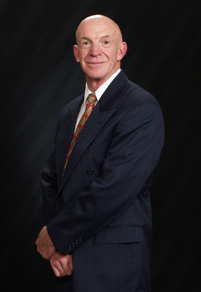 John began with the IRS in a split-group of Income Tax Agents and Gift and Estate Attorneys, progressed to an assignment in Technical Review Staff, and then to responsibility for coordination of audit activities of Review Agents in income tax examinations of small- to midsized businesses. While there, he taught review agent training, as well as accounting at Essex Community College. In 1993, John began to re-focus his extensive background in tax and accounting on advising individuals, company executives and business owners on financial and retirement planning issues. He is experienced in agent sales with Minnesota Mutual Life Insurance and Securities, AXA Advisors, LLC, and the Equitable Life Assurance Society of the U.S., and was an Advanced Underwriter with Summit Financial Group, Inc. In July 2003, John became a registered representative of Jefferson Pilot Securities Corporation (JSPC) and in July 2004, he became an Investment Advisor Representative of the firm. JPSC was acquired by Lincoln Financial on July 1, 2008. John continued on with Lincoln as an Investment Advisor Representative until completing his transition to an independent investment advisor. In July, 2007, JB Advisory Services was established to provide for-fee financial consulting services. At that time, money management services were offered through Lincoln Financial Securities Corporation. John completed his transition to an Independent Investment Advisor in July, 2010. At that time, the firm's name was changed to JBA Financial Advisors and clients' account custody arrangements were established with SSG Institutional, clearing through Pershing, LLC, a subsidiary of the Bank of New York Mellon. In June, 2012, John was appointed as a general agent of Ohio National Life Insurance Company and merged his life insurance practice with JBA Financial Advisors. Financial Industry Regulatory Agency (FINRA) Financial Industry Regulatory Agency (FINRA) Successfully completed the FINRA sponsored Series 7, Series 6, Series 63, Series 65 examinations. "Big business security with small business service." Shareholders Service Group (SSG) provides brokerage and custodial services exclusively for independent registered investment advisors (RIAs). SSG uses the custody and clearing services Pershing LLC, and provides JBA with a full range range of brokerage, and back office service support with a robust technology platform and access to a full suite of investment vehicles. SSG's management team has a proven record of building and managing brokerage and custodial platforms. The team includes executives who were in charge of custodial platforms at Jack White & Company, TD Waterhouse and the former vice president of Advisors Technology Solutions at Charles Schwab and Company. Client accounts held at Pershing/BNY are protected up to $1 billion for securities and $1.9 cash awaiting investment. This is the highest asset protection in the industry, for more information click here. 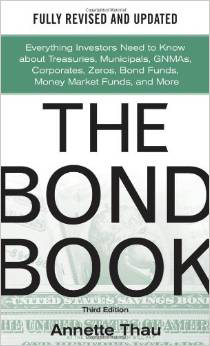 JBA has direct access to Pershing's Bond Inventory and the firm's fixed income trading expertise. Pershing and AAM (see below) assist in the custom construction of income portfolios for JBA Clients. Clients have secure access to their accounts 24/7 via Pershing’s NETXInvestor web site. To take a tour of Pershing's Brokerage Accounts, click here. JBA maintains a licensing agreement with PIEtech, for the use of their award winning financial planning software, MoneyGuidePro (MGP). We utilize MGP, to help clients define their financial goals, track progress to those goals, stress test their portfolios, and bring to light issues concerning estate taxes, long term care needs, and life and disability insurance needs. MGP's sophisticated software produces understandable written and interactive web based financial plans and statements. Monte Carlo Theory Simulations are used to stress test clients' portfolios. To see how return variability impacts your investment account click here to play MGP's Monte Carlo Card Game. Clients can securely obtain a view of their net worth, asset allocation, and financial plan. MGP uses account aggregation services to provide our clients with a comprehensive portfolio view of assets and liabilities held within their financial accounts. This utility creates a living financial plan and puts an up to date financial picture at our client’s finger tips 24/7. JBA's principal, John Berzellini, working with other investment advisors and brokers provide clients with investment and cash management service. John primarily works with Blackrock, State Street Global Advisors, Vanguard and AAM to provide investment services. JBA offers strategic asset allocation ETF portfolios and custom designed income portfolios. Cash management services are provided thru SSG and Pershing/BNY Mellon Brokerage Operations. Morningstar Investment Services Inc. (MIS) is an investment advisor affiliated with of one of the industry's largest mutual fund research firms, Morningstar. The research firm is famous for its Five Star Mutual Fund Rating System. At the institutional level, JBA partners with MIS to deliver an advisory-driven, open architecture, 401(k) plan. JBA provides plan servicing and participant education. Morningstar, acting as the plan's co-fiduciary, provides investment management services. To see what we do for businesses, click here. 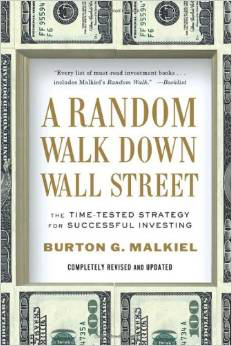 John Berzellini was first introduced to Mark Matson in 2004 by Lincoln Financial Securities Corporation. Since that time, John, and now JBA offers clients access to Dimensional Fund Advisors (DFA) thru the investment advisor, Matson Money. Charles Schwab provides custodial services for these portfolios. Matson Money's portfolios are supported by a proprietary investor education program. JBA is a licensed presenter of the program, which strives to create investor "peace of mind" by explaining how markets work. For information on Dimensional Fund Advisors, click here. Advisor Asset Management (AAM) assists in designing JBA Custom Income Portfolios. John Berzellini was introduced to AAM's fixed income capabilities by Lincoln Financial Securities Corporation and has continued that relationship with his firm. AAM, formerly Fixed Income Securities, has been deeply rooted in the fixed income markets for almost 30 years. The firm provides JBA with unlimited access to bond markets, proprietary unit investment trusts, as well as efficient trading support. Custodial services for JBA's Income portfolios are provided by Pershing LLC(see above). John Berzellini is a general agent of Ohio National Life Insurance Company. Ohio National is a prestigious insurance company domiciled in Cincinnati offering whole life insurance and other traditional fixed insurance products. JBA makes use of Ohio Nationals fixed line of insurance products. In addition to his general agency relationship with Ohio National, John maintains direct relationships with other prestigious life insurance companies and insurance brokers. JBA makes use of John’s access to insurance industry experts in individual and business planning engagements. Insurance company expertise is particularly useful in the area of estate and business planning. We believe insurances products such as life insurance, disability insurance, long term care insurance and annuities are an integral part of our comprehensive financial planning platform. JBA works with Independent Trust Company to provide clients corporate trust administrative services. With Independent Trust Company, clients have the right to hire or fire investment advisors now and in the future. The client, their children, their children's children and their children's children's children will not be locked into an unsatisfactory bank trust program. JBA works with the American Endowment Foundation (AEF), an independent sponsor of Donor Advised Funds. AEF enables clients to design and conduct their charitable activities effectively and efficiently as possible. Many donor advised fund programs are simply charitable arms of for-profit financial institutions. We fully agree with the AEF assertion that true independence improves reliability and enhances the flexibility of a Donor Advised Fund Program. Be sure to view their video. This site has been designed for informational purposes only and does not constitute an offer to sell or a solicitation of an offer to buy any security which may be referenced on the site. Such offers can only be made where permitted under the applicable law. Links on this site are provided as a convenience and for informational purposes. JBA believes the information on these external sites to be accurate, however, JBA Financial Advisors bears no responsibility as to the accuracy, legality or content of the external site or for that of subsequent links. JBA Financial Advisors does not intend to provide investment advice through this site and does not represent that securities or services discussed are suitable for any investor. Investors are advised not to rely on any information contained on this site in the process of making a fully informed investment decision. JBA Financial Advisors does not, and this site is not intended to render tax or legal advice. Hyper Links are provided as a courtesy. When you access one of these websites, you are leaving our website and assume responsibility for any risk associated with the use of the websites you are linking to.